BURNABY — They are a pretty easy team to pull for. Like the late Terry Fox himself, they too are distance runners in training, making the rounds on many days in-and-around the athletic facilities which now bear his name and sit on the same part of the Burnaby Mountain campus that the iconic Canadian hero himself trained on over a generation ago. 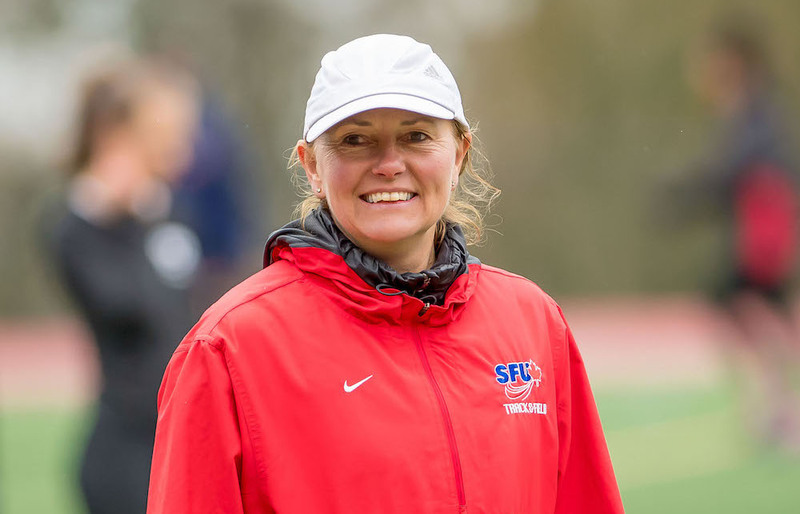 And while there is no question that the Simon Fraser Clan men’s cross-country team is as talented a crew of harriers as head coach Brit Townsend has ever assembled at the school, they, in a Fox-like way, seem to represent just a little more. In fact you might want to call them a collective whose overall strength seems greater than the actual sum of its parts. Consult the most tangible measure available, and you’ll discover that this past week, the U.S. Track and Field and Cross Country Coaches Association (USTFCCCA) ranked SFU’s men’s team No. 8 nationally within a pool of hundreds of U.S. NCAA Div. 2 schools. It’s the highest the Clan men have ever been ranked over the school’s eight years of NCAA membership, and it’s the beacon which reminds them that a potential season to remember continues to hold its narrative in the run-up to the national championship race Dec. 1 in Pittsburgh. Yet when a collective heart is broken in the 11th hour-manner in which last season’s team was, you tend to do everything in your power to avoid that same crushing feeling. Back in 2015, Rowan Doherty of West Vancouver Secondary, and teammate Sean Miller of Nanaimo’s John Barsby Community School, were a pair of rookies who at the time, might have taken for granted the way their freshman seasons were coming to a close. After all, the Clan men’s team had made it first-ever NCAA championship meet appearance the year prior and finished 20th. Now, in 2015, with Doherty and Miller among SFU’s scoring five, along with veterans Oliver Jorgensen, Marc-Antoine Rouleau and Cam Proceviat, the Clan had made a return trip and had fashioned a 15th-place finish. With three more seasons of eligibility remaining for the pair, how could they not think the best was yet to come? Simon Fraser missed in 2016, yet with a new veteran core emerging last season, one led by likes of Doherty and Miller in their junior seasons, it seemed time for the Clan to get right back on the national championship track. Yet like a racer trying to navigate past a fallen tree branch on a wet and hazardous stretch of downhill grade, the Simon Fraser men had their collective cleats pulled out from under them. The NCAA’s shift from an emphasis on regional championship placements to a new rankings-based system caught everyone by surprise, and while no one needs a stride-by-stride breakdown of its minutiae, the CliffNotes version is that the Clan men had, as in past seasons, geared their campaign to be running their best at the end of the season. 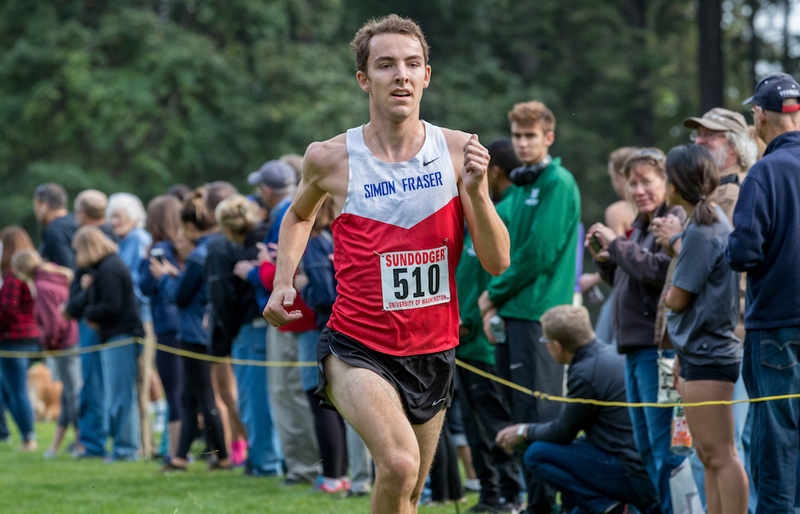 Needing to finish in the top three at the West Region meet in early November, SFU finished tied for third with GNAC rival Western Oregon, and subsequently lost out on a tiebreaker. The Clan, however, wrongly assumed they would be awarded a wildcard bid based on several factors. In the end, however, the remaining wild-card slots were doled out based on performance at one early-season meet. “As it turned out, it all came down to one day,” said Clan head coach Brit Townsend of the Roy Griak Invitational, a gathering of many of the D-2’s top programs held back in September of last season in Minneapolis. Doherty and Miller have been stalwarts in their senior seasons, leading SFU’s 13-man team. Transfer Pierre-Louis Detourbe, a French international and transfer from Cal Baptist, has been a fixture in the first five, as has Quebec native Carlos Vargas and Calgary sophomore Aaron Ahl. Two weekends ago, SFU traveled to Romeoville, Ill., just south of Chicago, for the NCAA Div. 2 Conference Crossover Invitational, a meet which brought together many of D2’s top programs in much the same way last season’s Roy Griak Invite did. And when Doherty said his team wouldn’t make the same mistake as last season, he was speaking directly to the Crossover race. Boy, did it show. SFU went in ranked No. 13, but after a third-place finish in which they topped four other teams who sat higher than they did in the national rankings, they spiked five spots in the next national poll to No. 8. On top of that, Doherty (9th), Detourbe (10th) and Miller (20th) all finished in the top 20. 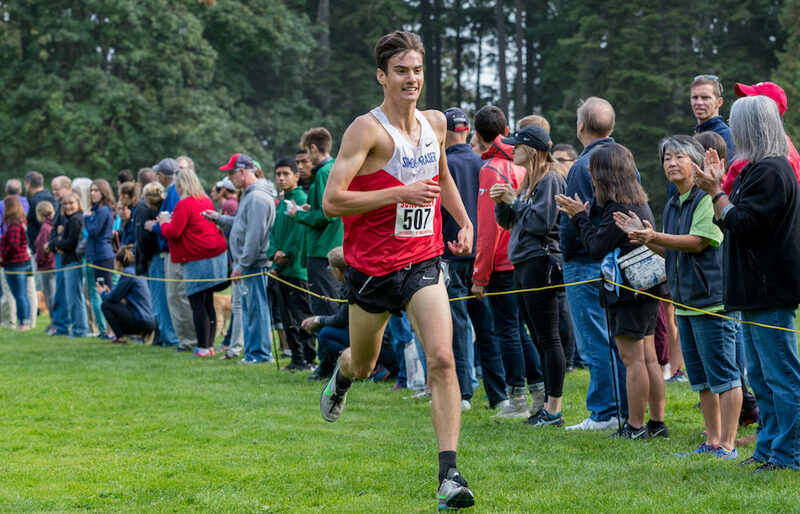 The Clan men and women hope to continue a positive string of showings this Saturday in Bellingham when they compete in their final invitational race of the season, the Western Washington Classic. After that, it’s the season-ending holy trinity of GNAC Championships (Nov. 3) at Western Oregon, West Regionals (Nov. 17 at Montana State Billings), and NCAA Div. 2 championships (Dec. 1) in Pittsburgh. “I think the way last season ended has definitely played a part in how we are doing this season,” said Doherty, a neuroscience major who is hopeful of potentially pursuing studies in medicine after his running days are over. They know dwelling on the past too much can be a double-edged sword, yet as much as they have tried not to linger, there has been no denying how inspirational last season’s late snub has been. Townsend, in fact, has noticed it in the way that Doherty has treated his preparation for every race on the team’s calendar, as if some part of him will simply not allow a sub-standard performance to soil any part of the team’s 2018 resume. “I can remember how sick Rowan was because he had a fever and it was three or four days before Stanford,” Townsend remembers of how her captain was feeling in the days leading up to the Stanford Invitational in Palo Alto, Cal., on Sept. 29. “He said ‘I don’t know how I’m going to go. I’m not sleeping I’ve got a fever.’ But Rowan just seems to be able to do what he has to do to be relevant for us,” added Townsend. All he ended up doing was getting up off of his sick-bed and leading the Clan to sixth place in the team standings, while fashioning a team-best 38th-place finish. SFU, in fact, was the second-highest placing Div. 2 program in the race. And that attention to detail goes on and on. “The two of them met with me in the summer and they wanted to plan our schedule,” laughed Townsend of Doherty and Miller. “I trusted their input on which races would be the most important. I knew in my mind what I wanted, but I loved to see that buy-in and how empowered they feel about this team.